My friend Dana introduced me to a delicious sushi spot in NYC, Sushi Seki in Hell’s Kitchen. 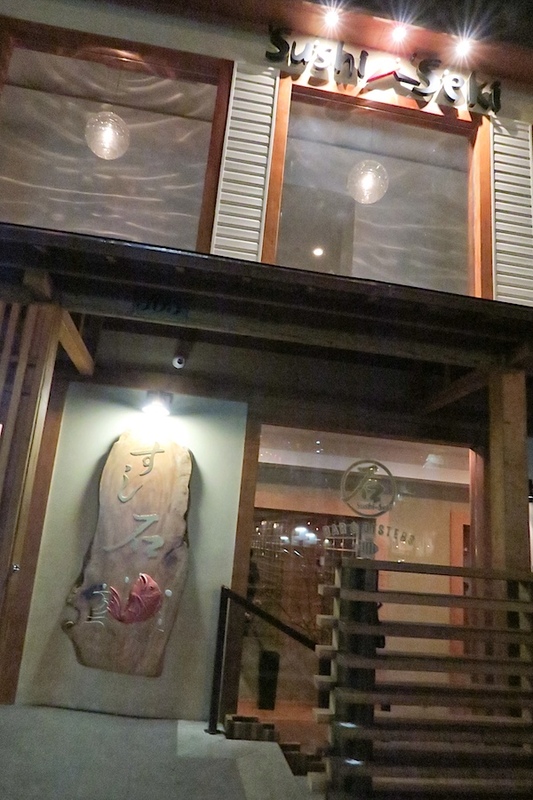 Sushi Seki serves cooked food in addition to sushi. 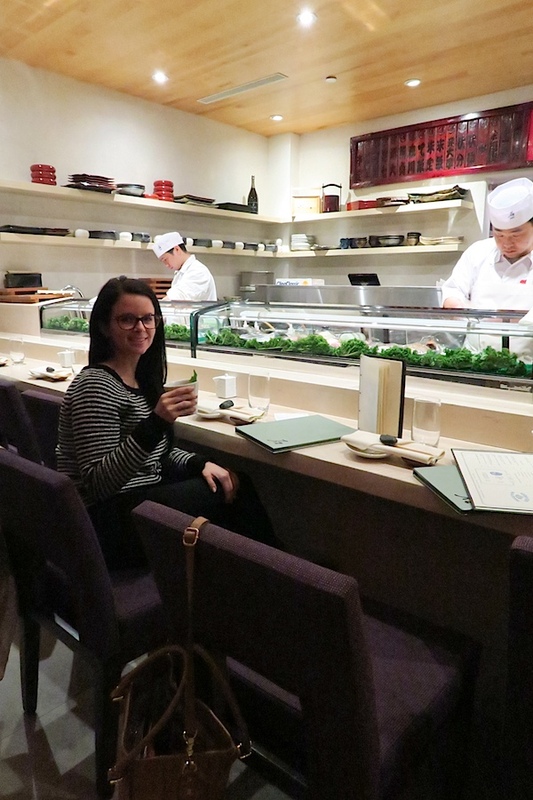 But, my favorite spot is right at the sushi bar where you can see the chefs in action. You’re greeted with warm towels to clean your hands. And Sushi Seki has a unique cocktail menu. Dana suggested the Yuzu. I’ve tried a couple others since then, but the Yuzu remains my favorite. 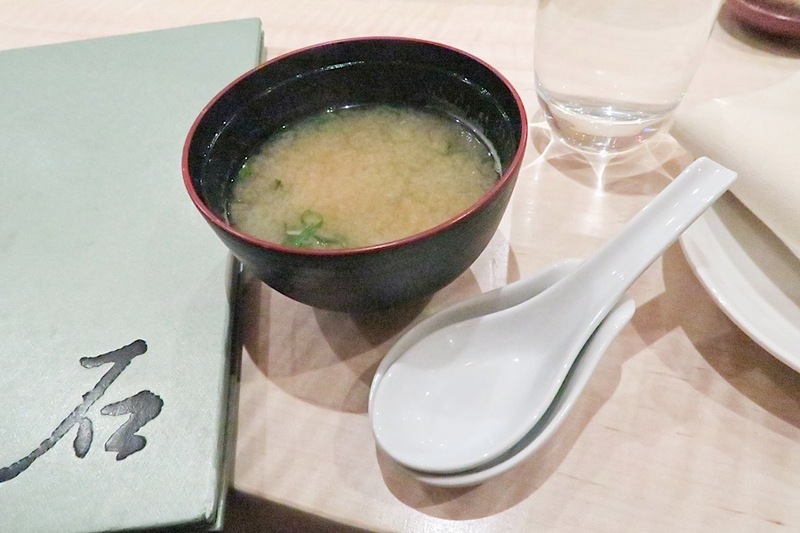 At my first visit, I decided to get some miso soup. 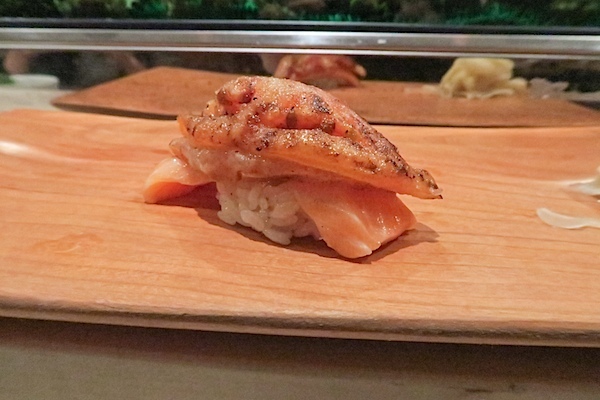 But, what I really love at Sushi Seki is their unique take on nigiri sushi. 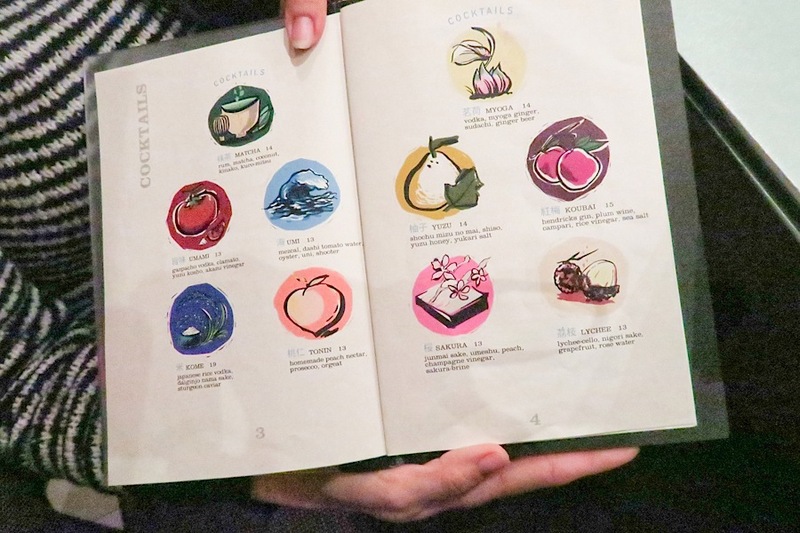 Most of my favorites aren’t on the menu, so if you visit, you may want to write these down. Sorry I don’t have the official names, but hopefully this is enough to help you order. The above is salmon with roasted tomato. 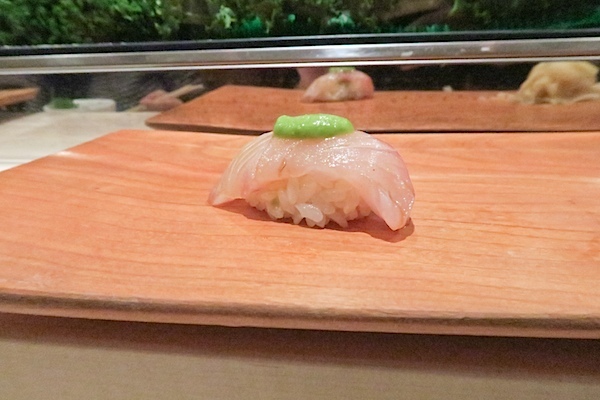 It’s one of the most unusual and delicious sushi rolls I’ve ever had. Another favorite is this baby yellow tail with jalapeño mousse. This fish melts in your mouth, it’s so tender. I asked our waitress about her favorites, and she suggested this salted white fish, which was also really good. And on this trip, I also tried the tuna with tofu sauce. All so delicious. 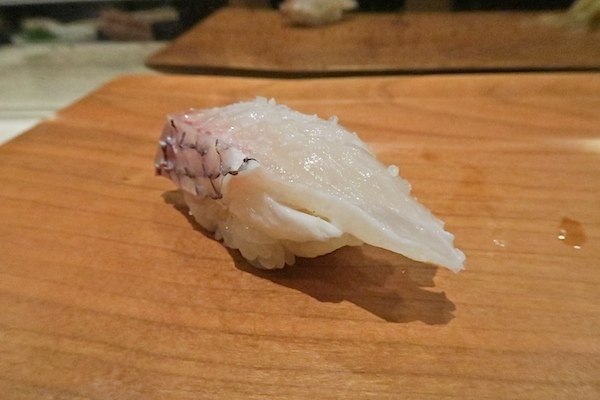 And Sushi Seki has even more unique rolls to try beyond this! 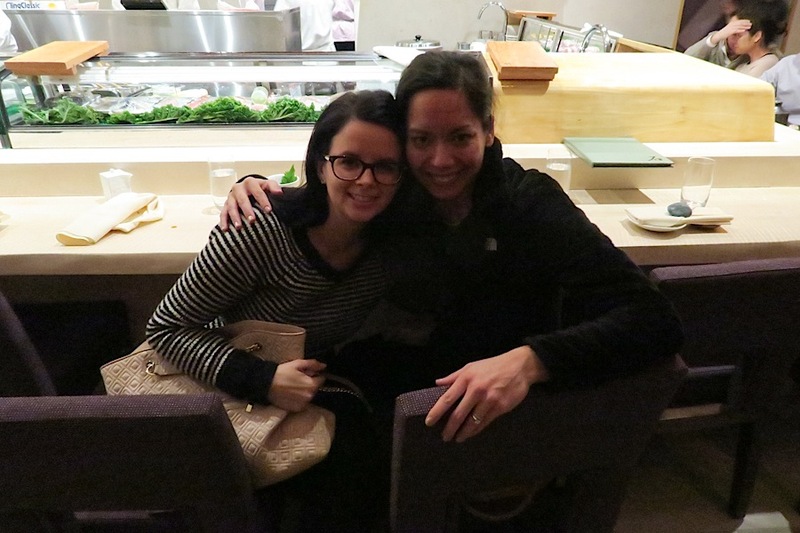 Thanks for introducing me to this fabulous sushi spot, Dana! 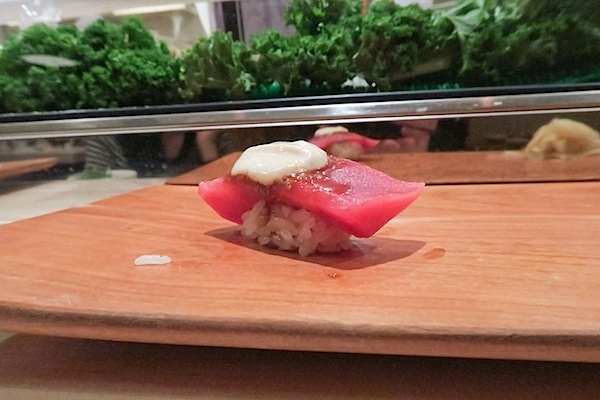 By the way, Sushi Seki also has other locations in Chelsea and the Upper East Side. 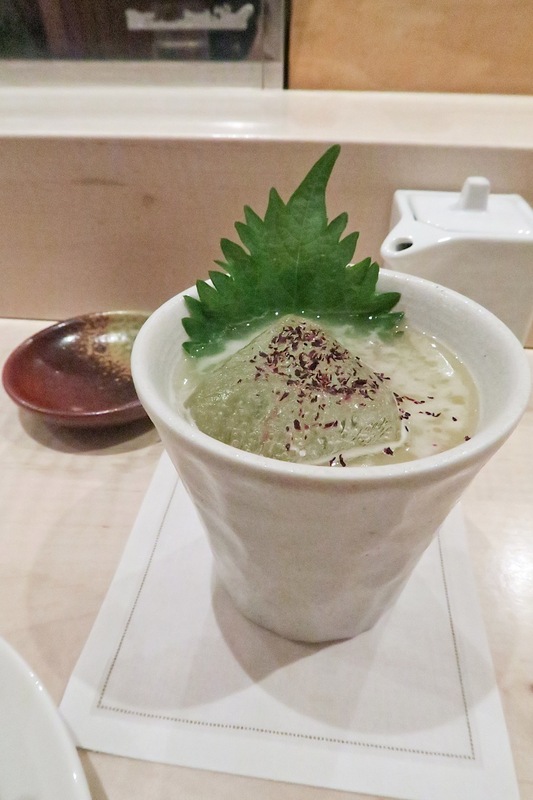 The Hell’s Kitchen location is close to the Broadway Theaters if you’re looking for a peaceful dinner before a show. Click here to check out my other NYC posts.